The Deadline to Apply for the most fun and Dynamic Summer Abroad Program is March 10th – NEXT FRIDAY !!! Entrepreneurship and Innovation in Europe is a dynamic, hands-on program where you earn 6 Industrial Engineering credits while collaborating with other students from all over the world. It is open to undergraduate and graduate students of all majors and all universities. 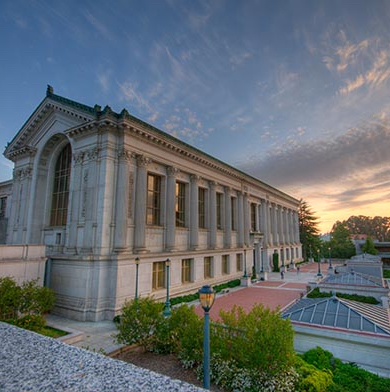 The program is part of the Sutardja Center for Entrepreneurship and Technology (SCET) innovative world-class curriculum based on The Berkeley Method of Entrepreneurship (BMoE). At SCET we strive to recruit students from diverse backgrounds and with different skill-sets because we believe that diversity is the key to start-ups’ success. The program is also designed to give students “real-world” experience independent whether they plan to start their own company or not. For the last four years, students from all over the world have spent the summer in Europe creating a venture in the record time of four weeks. On the first week, students that sign up through UC Berkeley, will be diving deep into leadership and team formation exercises with UC Berkeley Instructor and SCET Managing Director Ken Singer. For the following three weeks they will become part of the European Innovation Academy cohort of the 500 students that will start their own company with the help of business mentors, serial entrepreneurs, famous industry speakers and more. This year, during the program you will also visit the Italian Riviera, Milan, and Rome. – Smita Balaji, 2nd-year Industrial Engineering and Operations Research student at UC Berkeley. – Ali Ahmed – 2nd-year economics and Computer Science student at UC Berkeley. *The program is English so there is no language prerequisite. *Undergraduate and Graduate Students from All Majors Accepted. *Other Universities Welcome to Apply. *Space is limited and applications are accepted on a first come, first served basis. Our last info session will be March 8th – 5 pm at the SCET office at the Memorial Stadium.